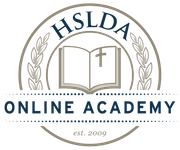 Description: HSLDA Online Academy has teamed up with HSLDA's Generation Joshua to bring you iCitizen Live, an interactive, teacher-led civics course designed to prepare your highschooler, or advanced 8th grader, to be an informed and engaged American citizen. This course introduces students to the purpose of the Constitution, the structure of America's government and economic system, the role of American diplomacy, and American parties and politics. Ready to become active in politics and serve your community? Check out Generation Joshua to find out how you can get involved! What topics will I learn about in iCitizen Live? Students in this course will be equipped with the practical and historical knowledge every American needs to be an engaged citizen. The course highlights the purpose of the Constitution, the structure of America's government and economic system, and the role of American diplomacy as well as an introduction to the American political parties. How much homework is in iCitizen Live? What is the tuition for iCitizen Live?